People just eat up cars that used to be owned by celebrities. Whether it's Neil Young's former collection of classic American cars or Paul Newman's never-ending list of racing machines, the wealthy public can't get enough of 'em. Occasionally, you find some units up for auction with an even more significant owner history than movie stars or folk rock legends. This example, however, may not bump the value. Instead, it could make you think twice about picking it up given the fact that it was once owned by former Nazi regime leader Adolf Hitler. 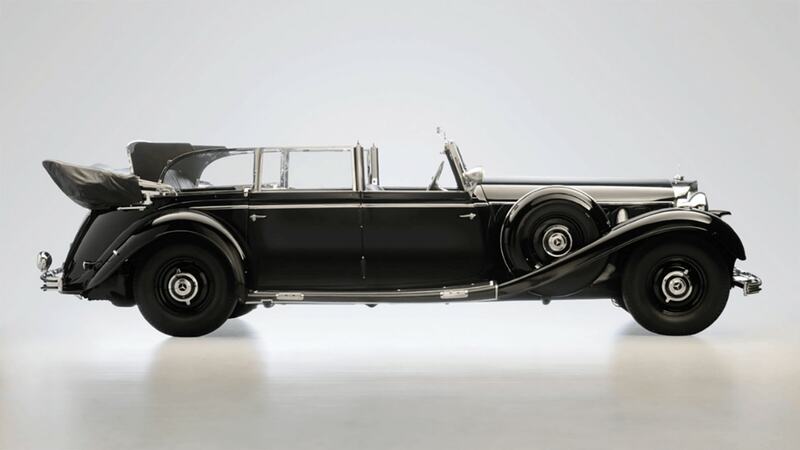 Offered by Worldwide Auctioneers, who intends to donate 10 percent of proceeds from the auction to Holocaust education, this 1939 Mercedes-Benz 770K Grosser Offener Tourenwagen was enrolled by the National Socialist party for parade use. According to the listing, Hitler's righthand man and personal driver, Erich Kempka, chauffeured the dictator through the streets of Germany in this very vehicle during WWII. Much like the armored vehicles of presidents and other government leaders of today, this Merc was loaded down with protective gear. The windshield is said to be bulletproof along with the incredibly hefty bodywork, shielding its passengers in case of a major threat. Additionally, a protective partition can be raised behind the seats to block outside gunfire. All-in-all, it was a coachbuilt luxury-liner with an unfortunate past owner. And luxurious it was. 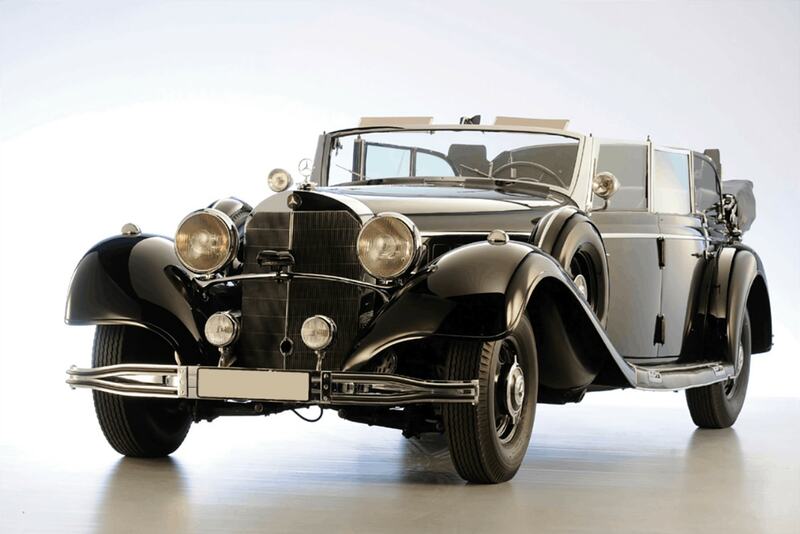 Daimler offered up its best efforts with the 770K Grosser of which only five examples still exist, according to the sellers. This one was fitted with a plush interior fit for a king with a powerplant to match. A 7.7-liter supercharged straight-eight engine sailed the car around with ease, producing 230-horsepower in total. 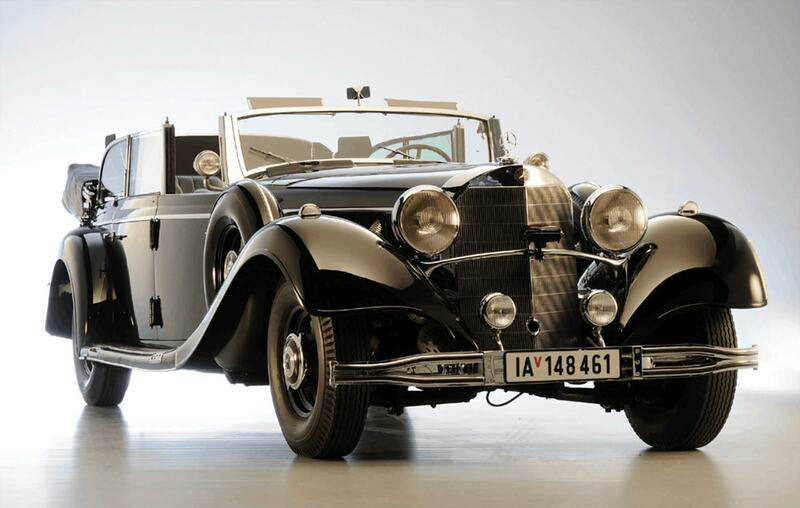 It was described as a "tour de force" by the German automaker, and after 78 years, that statement still stands true. This Benz was eventually seized by the Allied forces and brought into the United States. It's had several owners since Hitler's demise some 70 years ago including a few trips back and forth between America and Europe, eventually landing here to be put up for auction. For the full listing, check out the link here. The winners will be declared in mid-February.